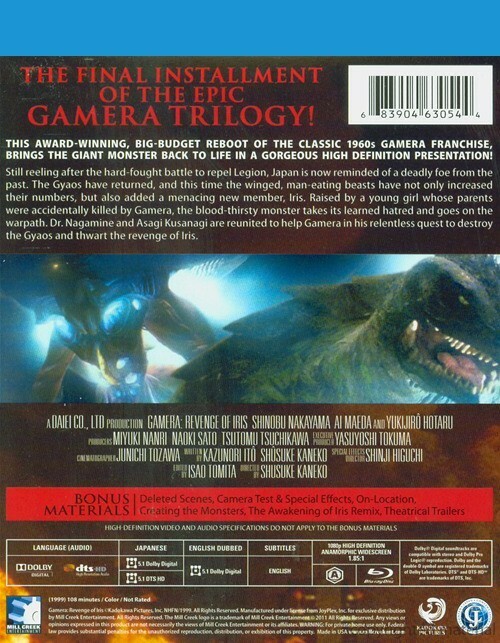 This award-winning, big-budget reboot of the classic 1960s Gamera franchise, brings the giant monster back to life in a gorgeous High Definition presentation! Still reeling after the hard-fought battle to repel Legion, Japan is now reminded of a deadly foe from the past. The Gyaos have returned, and this time, the winged man-eating beasts have not only increased their numbers, but also added a menacing new member, Iris. Raised by a young girl whose parents were accidentally killed by Gamera, the blood-thirsty monster takes its learned hatred and goes on the warpath. Dr. Nagamine and Asagi Kusanagi are reunited to help Gamera in his relentless quest to destroy the Gyaos and thwart the revenge of Iris. 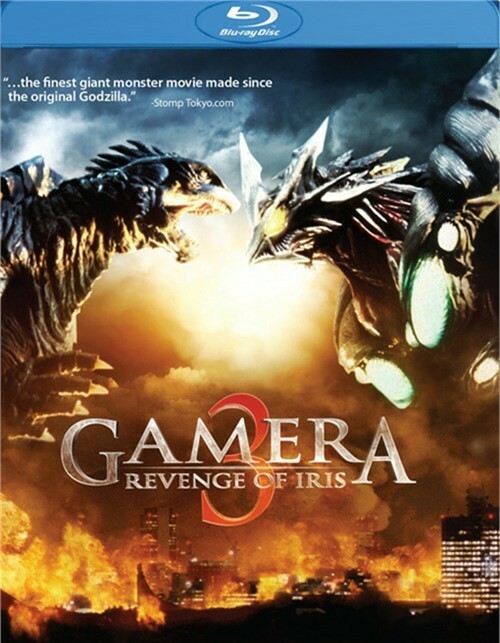 Review "Gamera 3: Revenge Of Iris"
Reviews for "Gamera 3: Revenge Of Iris"